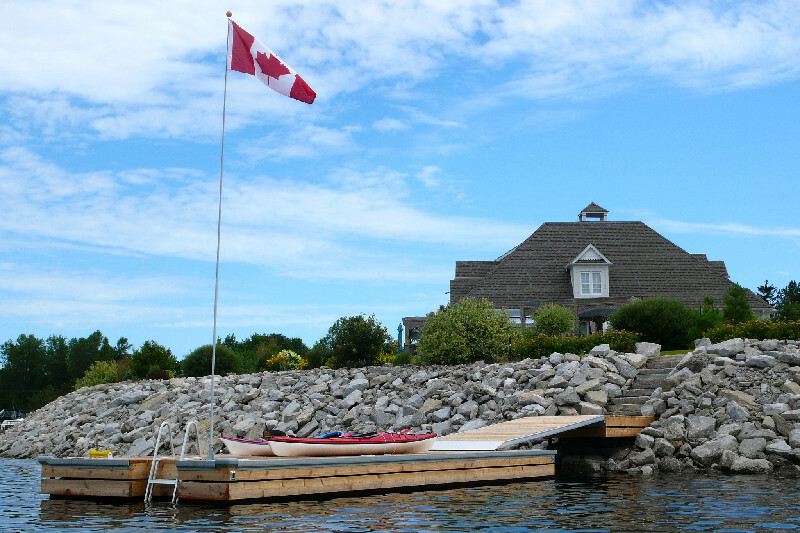 Many of Canada’s lakes and waterways have changing water levels throughout the summer season and a fixed height dock won’t do. We customize a dock system to suit your shoreline and the type of recreation you use your waterfront for, whether it’s to park a boat or if your dock is the it spot to spend your summer holidays we will design a system right for you. Often a combination system, with a permanent steel pile shore section, access ramp and floating dock, will ensure your dock is at the perfect height season after season. Custom fabricated steel tube floating docks are ideal for areas with high exposure. These docks are heavy duty and are made to withstand Canada’s seasons. It is the most robust stable floating dock system we offer. Finish options include wood, composite or azek PVC decking. With the proper planning and engineering, we have built these dock systems to support a boathouse or boat port on waterways with fluctuating levels. High Density Polyethylene Floating Docks are also available in nearly any configuration imaginable.